This is “Robot Kichi” or “Robot Base.” Openning November 1, this Tokyo tavern is aimed at fans of iconic anime like Macross. 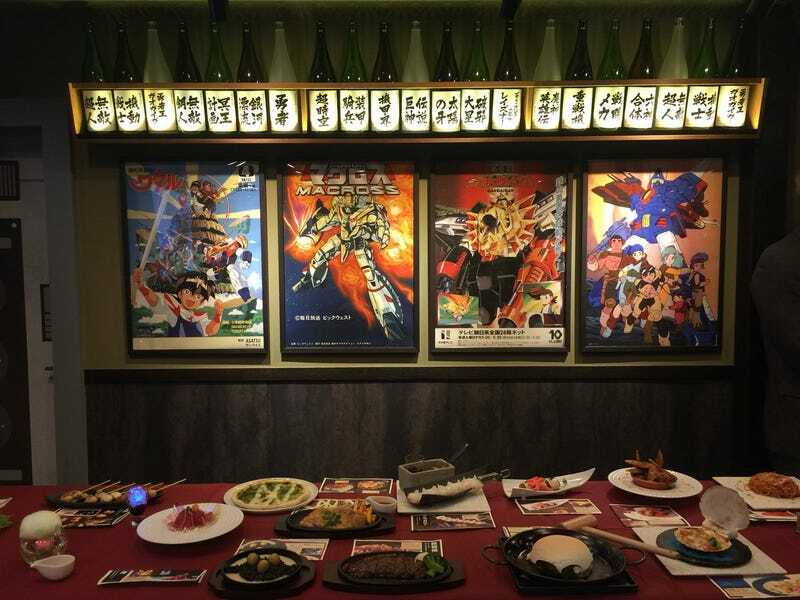 The izakaya (Japanese pub) is covered with mecha and robot anime images, all of which were licensed from Bandai and Banpresto. You can also watch anime while you dine. There are also original goods on sale in the restaurant, and some of the food is also themed. Though, some of the meals seem harder to figure out than others.